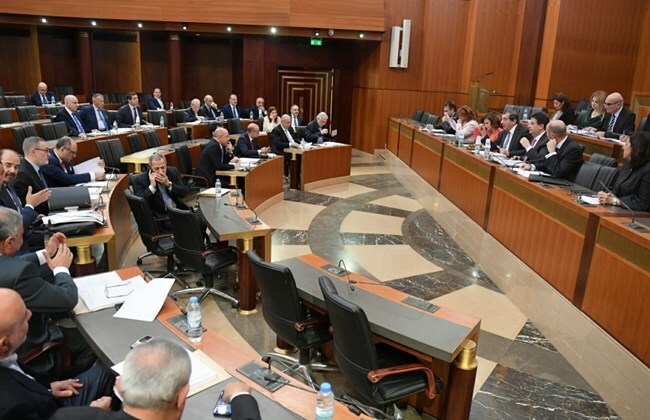 Parliament’s joint committees Wednesday endorsed laws to establish special economic zones in Batroun and Tyre and another to create a natural reserve in Beirut’s largest green space, Horsh Beirut. If the special economic zones are established, Lebanon will have a total of three, as one already exists in Tripoli. It also means the three zones would be distributed in areas traditionally under the influence of Lebanon’s main political parties, and in areas that are majority Christian, Shiite and Sunni. But Batroun MP Fadi Saad said sectarian considerations had not played a part in the decision-making process. “It’s not an issue of sectarian balance,” he told The Daily Star. He said Batroun’s SEZ would be devoted to technology, information and tourism, giving tax breaks to both local and foreign investors and cutting red tape. Among the usual benefits of designating areas as special economic zones are exemptions from taxes and streamlined procedures for establishing businesses. Tyre MP Ali Khreis said the SEZ in his constituency would similarly focus on tourism and technology. “We need to be economically competitive in order to benefit from globalization,” he told The Daily Star. He too played down any sectarian angle, and said work would be done to differentiate the productive sectors each SEZ works to attract. “Every city has its own features and can have its own projects,” Foreign Minister Gebran Bassil, who is also a Batroun MP, said at Parliament. “Establishing economic zones in these areas encourages investment in Lebanon.” He noted the Maronite League had initially pushed for the establishment of the Batroun SEZ and was involved in its conception. Legislation creating Tripoli’s SEZ was endorsed in 2009. Under that law, local and international investors gained a range of attractive benefits. Unlike the Batroun zone, however, the Tripoli Special Economic Zone did not include the tourism sector. Such areas are usually outside the national government’s jurisdiction, placed under the authority of directors or committees that are appointed to run them. “There’s no way the national government can oversee what’s happening inside them beyond the broad outlines – they are islands,” he told The Daily Star. Meanwhile, MPs endorsed the law turning Horsh Beirut into the “Horsh Beirut Natural Reserve,” which would prevent trees from being felled and buildings from being built there, among other protections. A copy of the law seen by The Daily Star includes hefty fines and jail sentences for those who violate the rules of the reserve. This includes three to six years in prison and a fine of LL10 million ($6,600) to LL50 million for anyone who lights a fire within 500 meters of the reserve. Causing damage to or removing parts of trees could lead to three to six months in prison and a fine of LL5 million to LL10 million. Bringing cattle or domestic animals into the reserve without a permit could attract a penalty of one to three months in prison and a fine of LL1 million to LL5 million. The law also creates a committee, consisting of a president and four volunteers, tasked with running the reserve. The president is selected by the environment minister, and the volunteers, who must have expertise in ecology, agricultural engineering or similar professions, are appointed by both the minister and the committee president. The president and the volunteers would serve three-year terms, renewable once. Perhaps worryingly for low-income families who frequent the park, the law would allow the committee to impose an entrance fee, though it did not specify how much. The legislation passed by the committees Wednesday now needs to be endorsed by Parliament’s general assembly at its next legislative session before becoming law. A general assembly has been scheduled for next Wednesday, a statement from Speaker Nabih Berri’s office reported, but it won’t be a legislative session – lawmakers will gather to hold a Q&A session with members of Cabinet. A list of questions, culled from lawmakers’ submissions, has been distributed to the MPs, the statement added.